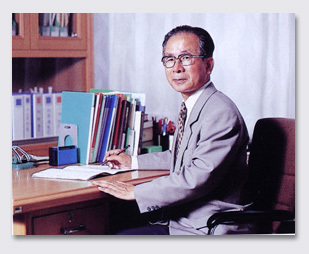 The Bolyai Institute of the University of Szeged is pleased to announce hereby that the Béla Szőkefalvi-Nagy Medal for the year 2005 has been awarded to Tsuyoshi Ando, Emeritus Professor of Hokkaido University, Sapporo, Japan. Tsuyoshi Ando achieved significant, deep results in a wide range of mathematics, including measure theory, ordered Banach spaces, operator theory and matrix analysis. He has contributed ten definitive research papers to the Acta Scientiarium Mathematicarum. His celebrated theorem on the existence of unitary dilations of pairs of commuting contractions was also published here 42 years ago. The Béla Szőkefalvi-Nagy medal founded in memory of Béla Szőkefalvi-Nagy, who served as Editor-in-chief of the Acta Scientiarium Mathematicarum from 1946 to 1981. The Medal is awarded annually by the Bolyai Institute to honour a distinguished mathematician who has published significant, deep results in these Acta.